Handyman Hanging & Wall Mounting BR Bromley | Quality Property Care Ltd.
Our company can do general jobs around your residence as well as more specialised and expert tasks such as painting, bathroom fitting, plumbing, electric rewiring, fixture placement and a lot more. Call 020 3746 4287 and book one of our handymen today for your office or home. 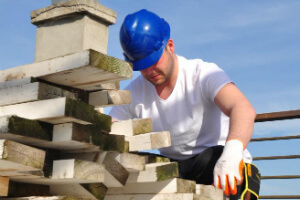 We work with property owners, home owners, office managers, business owners, estate agents and anyone searching for a professional handyman services. Quality Property Care Ltd. technicians can work in offices, homes, cinemas, kitchens, public restrooms, dining places, dentist’s offices. Our jobs are typically broken down into three sections, jobs for workplaces, landlords and homes, agencies. Give us a call, specify your needs and we can draw up a plan, send it over for authorization and have our handyman come over and start work right away. He also does odd jobs, with our multi skilled team no odd job is too strange. By booking a handyman from Quality Property Care Ltd. to do your flooring / floor fitting / floor installation, or provide the needed plumbing services, renovating services, electrical services or other unusual jobs, you will save the time and effort of attempting to do the job by yourself, or selecting an expert for that exact job you need done. You can rely on the multi-skilled and highly skilled handyman, who are loaded with all essential tools to deal with just about any repair, maintenance, improvement or other fix up tasks at your office or home. 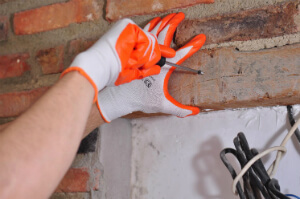 Book your handyman service right away, and rest assure that whatever service you demand will be completed expediently, with care and with the proper equipment. Odd jobs – basic tasks that anyone can do but does not have the time or has other restrictions. Acquire an effective handyman service in London, call 020 3746 4287 and ask for Quality Property Care Ltd. finest handymen. For fix-up-tasks or any peculiar job in London, contact us at any time and get help instantly. We do general repair work, property improvement and repair, exterior and interior painting, decorating, hanging and wall mounting and quite a lot more. Call anytime, get the finest handymen in London at a reasonable price today!